I'm not sure if this is a thing that book-loving people do, but I actually read this book in 2015 on holiday on my mum's Kindle. I fell head over heels for it and decided to buy the physical copy, just so that I could have it and admire that beautiful cover. It was initially the cover that drew me in and made me read the little blurby bit on Amazon, and I just knew I had to read it. It was absolutely stunning and I loved it so much that it actually inspired my final year creative writing project in uni! I've been meaning to write about it for so long and now is the time! "To my great misfortune, I was once mistaken for an angel. Pain in love is the Roux family birthright. 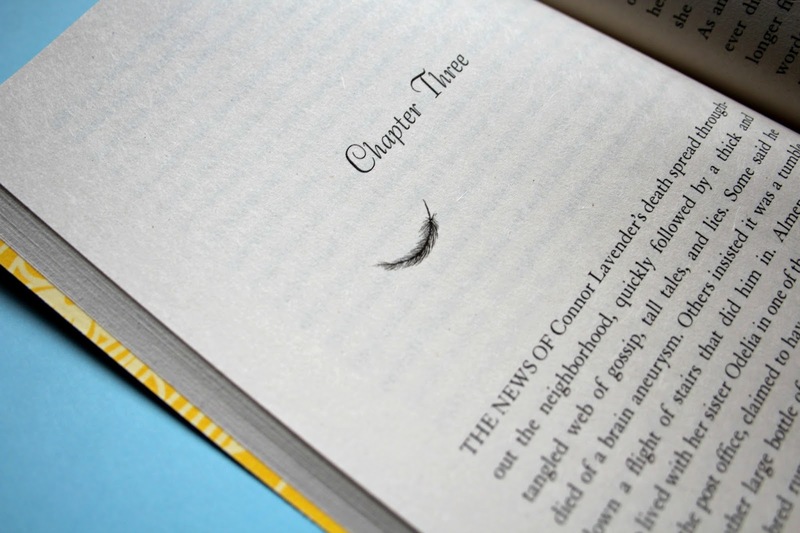 For Ava Lavender, a girl born with the wings of a bird, it is key to her fate. Ava traces the lives and loves of the Roux women as she tries to understand what has made her who she is and what she will become. On the night of the summer solstice, the skies open up, rain and feathers fill the air and Ava's fate is revealed." 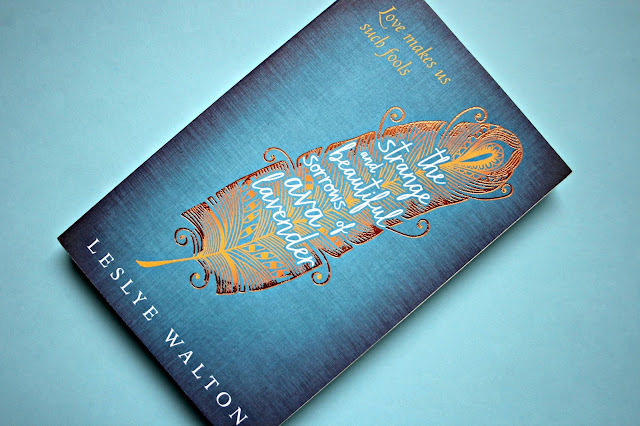 As you can probably gather by the blurb, this novel is about a girl that is born with wings, but it is set in a pretty realistic time and place, which places it firmly in my favourite genre of magical realism. Also, as suggested by the title, this is a very strange and beautiful book. It's filled with fantastical aspects and family that spans over generations. It's told through the eyes of several women from the family, giving us a glimpse at the sorrows from years before, not only Ava's. I found myself getting swept away in the branches of the Roux family tree and falling deeper into the story. What I found very interesting was that Ava didn't really feature in the novel until about halfway through. As I previously said, the story plays out through the eyes of several Roux women, so they dominate the first half. It was actually this that inspired me while writing my final year project, as I thought that it was so interesting to explore Ava's ancestors and the events of the past that led up to her birth. It gave the story so much depth and whilst I was reading from Ava's point of view in the second half, I was still able to remember key moments from the first half that could play into the scenes. I also found that the characters were so complex, despite this book being just over 300 pages and having a huge amount of characters. Each of them have a role to play and feelings that impact on the story, creating a reaction or a twist. Each of them also found it so easy to fall in and out of love, and loving someone so fiercely and greatly that the downfall was all the more painful, which made me wonder whether this book was glorifying or upbraiding the idea of love. This cast gives the book a certain richness that I just haven't found in any others, so if you're someone that can't keep up with characters or only likes a bare minimum amount of context, this may not be the book for you. Even though we get to explore the Roux family tree and the events of the past, just be warned that they aren't all happy. This novel is very sad and it's themes are extremely dark. The whole book is full of death, and there are instances of suicide, murder, ghosts and violence. It really isn't for the faint-hearted! But the way that Leslye Walton executes these themes is so painfully lyrical and magical that it almost softens the blow. She has such a gorgeous way of turning something beautiful on it's head to give it a dark side - for example, one of my favourite quotes is "Just remember, meu inima, my heart," she would say, "royal blood flows through our veins and from our wounds." Seriously, how stunning yet macabre is that? I'd love to read more of Walton's books to find out if this is a personal style that she consistently writes in, or whether it was something that was reserved for this novel? The 'build something beautiful to watch it burn' are just the beginning of her style - it's filled with pretty language and metaphors that I could only dream of creating. It's so swirly and ethereal at times, and I would just love to read more books that are written in that way. It fits perfectly with the magic of the story and the dream-like moments in the characters' lives, and it's an absolute pleasure to get lost in. As for the pacing... I've read a whole bunch of people online that were complaining about the pace being too slow. Were we even reading the same book? I found that the pace was slow in parts, which was usually due to Walton giving us context or a detailed description, but other times, I felt like everything was hurtling towards me at full speed and I couldn't stop it from happening. You can't tell me that the ending was slow-paced! Let's talk about the ending for a moment, actually. There's so much controversy about what really happened at the end of this book, and without giving anything away, most people believe that it's a negative ending. For me, when I first read it, I also sided with these people, but the more I thought about it, the more I believed that it was actually a positive, like a hopeful sign. Of course, it doesn't stop the whole thing from being so brutal and disturbing that it's almost difficult to read, but if you think back to the letter at the beginning, I definitely believe that there is more to the ending than meets the eye. You're not alone in reading on kindle and then buying the book because you love it so much. I will check this one out. Thank you.